Q: How long will it take for my ECCC Application for Admissions to be processed? A. The Admissions Office processes incoming applications in the order in which they are received. Acceptance may depend on receipt of relevent transcripts, ACT score, or other required documents. In general, we will work to send an Incomplete Letter outlining documents still needed for acceptance after allowing 7-10 days for receipt of transcripts or placement scores. Once all required documents have been received by ECCC, an acceptance letter will be generated and sent to the successful applicant. Please do not call the Admissions Office to check status - telephone call volumes may be high. See the next question below for instructions on monitoring your application status online. Particularly in the weeks preceding the Fall term, application volume is heavy ... admissions will process in the order received as quickly as possible. For general queries, use the email form on our Contact Us page and we will get back to you promptly. Q: Can I check on my application status in the event my application package is incomplete? A: Yes. 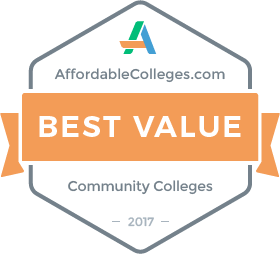 Your Incomplete Letter includes your My.EC ID and password, and instructions for logging into My.EC (https://my.eccc.edu/ics) with an internet browser to monitor ECCC's receipt and processing of transcripts, placement scores, and other required documents: (1) Login to https://my.eccc.edu/ics (2) Click on the Admissions tab (3) Click on My Admissions Information (4) Select View Documents. Q: I have forgotten my My.EC login. How do I retrieve this? A: Go to https://my.eccc.edu/ics and use the Login Request Form. Student Services personnel will verify your identify and you will receive the login via email. Q: If transferring to ECCC, are transcripts from prior colleges required? A: For transfer acceptance, official transcripts from ALL previous colleges are required, whether or not credits from all colleges are transferred. ECCC queries each applicant through the National Student Clearinghouse database which records all previous enrollment in higher education. Q. I have requested my transcript(s) be sent to ECCC. How can I check to see if it has been received? A. Follow these steps to login and check the status of transcript or other pending admissions documents: (1) Login to https//my.eccc.edu/ics (2) Click on the Admissions tab (3) Click on My Admissions Information (4) Select View Documents. Here you can check the status of your transcript(s). Q: If I am transferring to ECCC, what credits will be transferred? A: ECCC will transfer all transferable credits with grades of "C" or better. In some cases, "D" grades may be transferred if included in a body of academic work with an overall 2.0 GPA or higher. This is discretionary in the judgment of the Office of Admissions and Records. Only coursework for which there is a comparable course offered at ECCC will be transferred. Q: I have attended ECCC in the past and am returning. Do I need to apply again? A: YES. In order to be re-admitted to ECCC, students who have either graduated from ECCC or have had a break in enrollment should complete the Readmission Application. Q: I am an ECCC graduate and would like to return. Can I do this? A: Certainly. One important thing to understand is that a degree program cannot be repeated. If the student is returning to enter into a different degree program than was obtained previously, in many cases (depending on certain progress factors), the student is eligible for federal financial aid upon return. A caveat can emerge related to the Associate of Arts/Science in Liberal Arts, the College's baccalaureate transfer program of study. If the student has already been conferred this degree by ECCC, in most situations in order to take additional Liberal Arts courses upon return, the student will be classified as Non-Degree Seeking and will not be eligible for federal financial aid. If the Liberal Arts graduate is returning to enter into an A.A.S. (career or technical, including nursing) or certificate program, the student will usually be eligible for federal financial aid. Q: Once I have received an acceptance letter, can I register for classes online? A: New students with less than 12 career hours earned at ECCC must see a counselor/advisor to register. After 12 hours have been earned, students may register themselves using My.EC. To contact a counselor, call 601-635-6205. Q: Is my residency in-state or out-of-state? A: The residence of a student less than 21 years of age is that of the parent(s) or legal guardian. A student demonstrating graduation from a Mississippi secondary school and who spent no less than the final four (4) years of secondary school in Mississippi will be considered in-state. Students with out-of-state high school transcripts whose residency has moved to Mississippi must prove residency with two (2) documents such as a Mississippi driver license, tax returns, utility bills, etc. in order to be charged in-state tuition. Students needing to prove in-state residency should come to the Office of Admissions and Records to submit documentation. There are special circumstances, such as accommodations for military personnel, for which the student should likewise come to the Office of Admissions and Records to cover with admissions personnel. Q: I have submitted an Application for Admission but would like to edit some part of that submission. How may I do this? A: Use the email form on our Contact Us page and explain the edit in question. Please identify yourself by name and last 4 digits of social security number. A: Login to your My.EC web portal and use the Major Change Form found under the Student tab and My Academic Information on the left page menu.